A 69-year-old woman presented with claudication of the left lower limb. She also reported temporal headache. 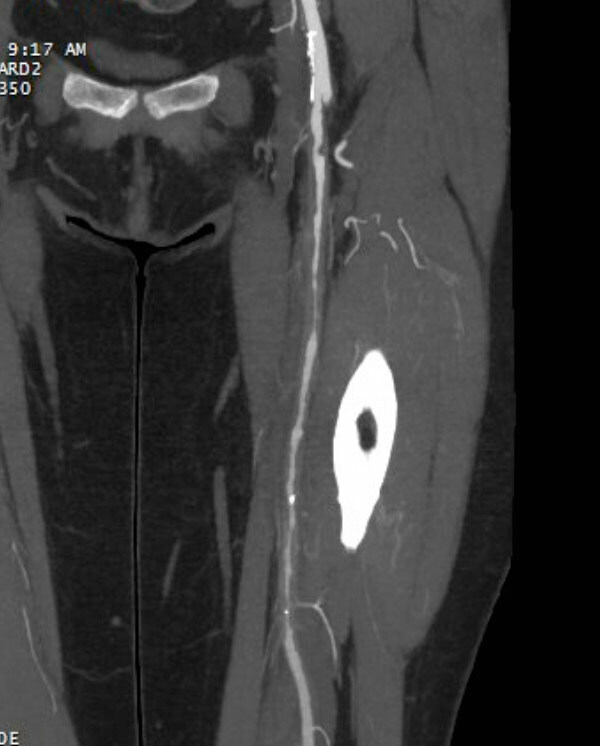 Contrast-enhanced run-off CT was performed to evaluate the arteries of the lower limb.